I grew up having cereal for breakfast almost every day. Therefore, my kids also grew up having cereal each day for breakfast. Many times more than one bowl was had – because, if you’ve noticed cereal doesn’t really fill you up. Now we got rid of cereal only breakfasts when I got gestational diabetes 7 years ago… But I still hadn’t fully considered what cereal really was. One of my autoimmune books broke down exactly how, even organic, cereals are made and basically showed why people who can’t tolerate grains should steer clear! Basically the mix of (wet) ingredients are out into a big mixer then it’s puff-dried, made into all sorts of shapes. Can you say – dead food? And to think, that’s how I started my kids off in the mornings? No wonder we were starving by lunch time!! Not to mention it stopped up their colons. 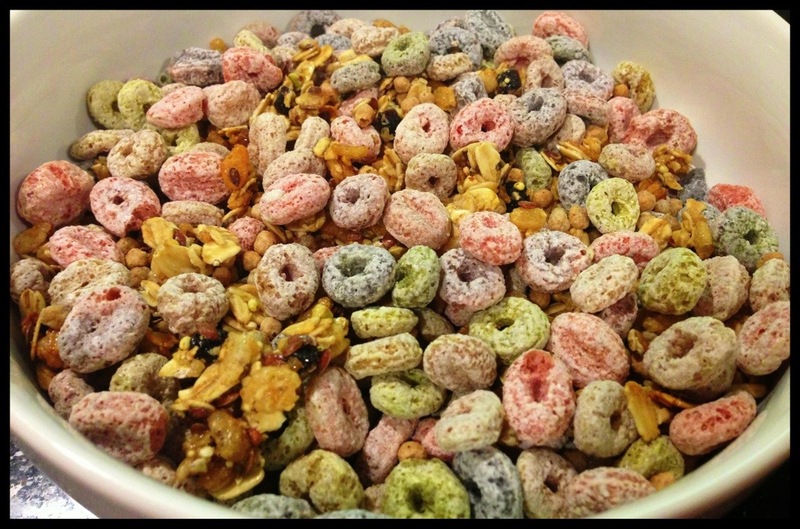 We took a took a tip from Bob Harper on cereal mixing for a healthier, more digestable option. So what we end up with some granola, some enjoy life flax seed cereal (available with chia too!) and then some organic GF cereal in their bowls! Just one more way you can help your digestion – which is SO key to being healthy for Him!! Posted on May 3, 2013, in Celiac/Gluten Sensitivity, Food To Try, Label Reading and tagged auto immune disease, gluten free cereal, heatlhy for him, Organic cereal, what is in cereal?. Bookmark the permalink. Leave a comment.